Four New York area hedge funds, anticipating higher taxes, relocated to Palm Beach and West Palm Beach this year. A high vacancy rate and distressed assets continue to pressure rents in the office, industrial and retail sectors. 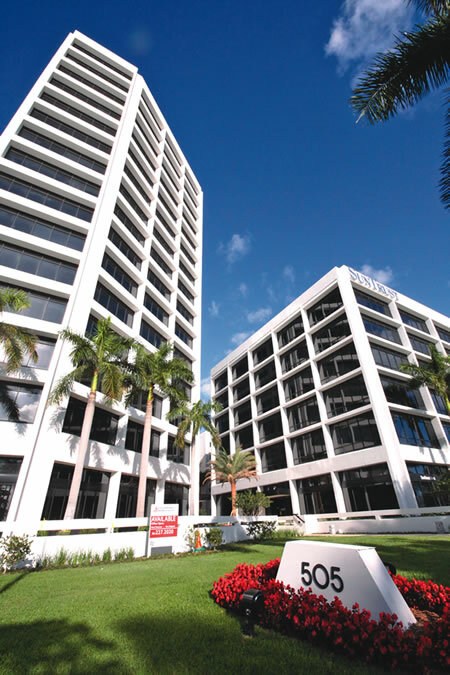 Meanwhile, the Glades Road area in Boca Raton went from 72% occupied to 90% in 18 months — “the quickest to recover,” says Mark Pateman of Cushman & Wakefield. New construction is scarce, but the Flagler Center, which Pateman represents, completed a $2-million renovation. Industrial developer IDI has a joint venture with sugar company Florida Crystals to build an inland port in the west county.